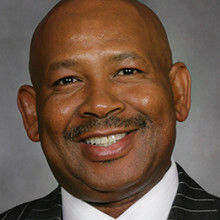 Dr. Jabulane (Jabu) Mabuza is the Chairman of the Board of Directors of Telkom SA SOC Limited. Jabu was appointed to the Board in November 2012. He is widely recognized as a successful entrepreneur. He retired from the position of Group Chief Executive of Tsogo Sun Holdings Ltd effective 30 September 2011, and as Deputy Chairman of Tsogo Sun Holdings in October 2014. He has recently been appointed as Executive Chairman of Sphere Holdings. Jabu has held a number of directorships within the Southern Sun and Tsogo Sun Groups. He has served on the Board of South African Tourism for nine years and as its Chairman, for six years, ending May 2012. Jabu is the current Chairman of the Casino Association of South Africa (CASA), President of Business Unity South Africa (BUSA). Outside of our South African borders, he served on the boards of Tanzania Breweries Ltd (TBL), and Castle Brewing Company in Kenya. He is currently serving on the Corporate Council on Africa (CCA) in Washington DC as a Board Member and on the World Travel and Tourism Council (WTTC) in England – UK as an Executive Committee Member, Chairman of the Regional Business Council for World Economic Forum (WEF). He was a B20 Delegate to the G20 in Saint Petersburg – Russia in September 2013.